The global music industry’s annual business conference and showcase confab, MUSEXPO, recently descended on the city of Burbank, California, as it delivered its Creative Summit to a global delegation that encompassed all aspects of the worldwide music and media industries. 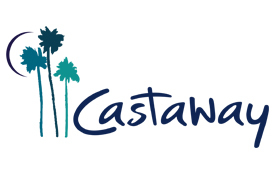 The event, a part of the newly–launched California Entertainment Week alongside the Worldwide Radio Summit, was met with phenomenal feedback and reaction from the international music community in attendance for its inspiring and insightful program. The independent event continues to be regarded by industry leaders as one of the most important annual gatherings for those truly vested in the global music business and offers some of the best creative and business interaction, opportunities and networking for its attendees from around the world. This year saw MUSEXPO recognizing one of the world’s most influential and innovative radio executives as it presented Jimmy Steal (VP of Brand & Content, “101.9 The Mix” WTMX Chicago, and former PD of Power 106 & KDAY/Los Angeles) with its “International Music Person of the Year Award.” The event featured awards presentations from A&R Worldwide and MUSEXPO Founder & President Sat Bisla; the City of Burbank’s Mayor, Emily Gabel–Luddy; representatives from the U.S. legislatures local, state and federal offices; and Rick Cummings, President, Radio Programming, Emmis Communications. Additionally, Jimmy Steal gave a special, in–depth interview that featured in a tribute publication presented at the event which can be viewed HERE. 1250 Harvard Rd. 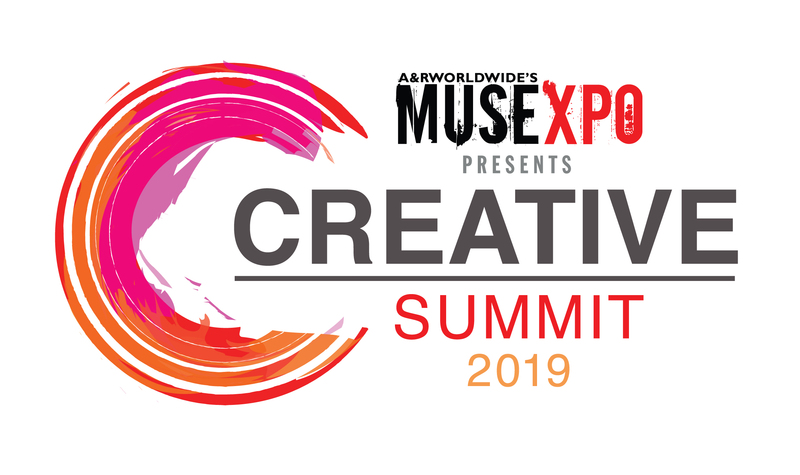 Burbank, CA U.S.A.
Creative & Licensing Director, Hit The Ground Running, Inc.
"I'm excited to be participating at MUSEXPO Asia Pacific & One Movement for Music. The Asia Pacific region is one of the most rapidly emerging music markets in the world and I'm looking forward to attending an event that will bring together some great people from around the globe to this burgeoning music landscape." 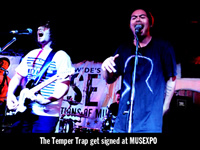 "I thoroughly enjoyed MUSEXPO. There are so many of these conferences around the world, that I really didn't know what to expect. MUSEXPO, with the quality of its organization and participants, makes it a very valuable conference to attend. I look forward to participating again next year. The Focus on Asia was an outstanding panel. Emerging markets like India and China are the key to the music industry's survival over the next twenty years." "As tastemakers ourselves, our network includes A&R Worldwide as a critical resource. Their vast knowledge and connections add to their ability to musically future forecast with us. Wherever they are putting on this conference [MUSEXPO], we will be there for sure!" "It was pure serendipity that my teenage children dragged me along to The Borderline to see an unknown new Australian act called The Temper Trap playing their first UK gig. I was totally blown away by their songs and performance and would like to thank the A&R Worldwide organization for being brave enough to include them at MUSEXPO Europe 2008 in England to play what's now become a legendary debut London show. A&R Worldwide have always championed great new talent in a way that is sorely lacking these days; their enthusiasm, knowledge and networking is exactly what drives this great business. Their ability to link developing artists with music executives and radio producers and their unerring support to connect like-minded people on a worldwide basis is truly unique." "[A&R Worldwide/MUSEXPO Founder] Sat Bisla is brilliantly connected on a worldwide basis with such terrific relationships to unearth the next great talent. He also has excellent ears and can spot the hits. Anyone who has the pleasure of knowing him is blessed." "With their strong international network A&R Worldwide has the ability to bring together the world's top music talent finders and developers and their annual conference [MUSEXPO] provides a unique opportunity for global artist discovery and marketing opportunities." "A&R Worldwide's MUSEXPO is a great forum to network with other like-minded executives from all areas of the international music and media business. In addition, it provides a great selection of evening showcases featuring new talent from around the world." "Thanks again for inviting me to your impressive conference. I really enjoyed the dialog, and I think I made some new friends." "Thanks again for your fantastic hospitality. I was impressed with both the organization and caliber of attendees." "Thank you again for including me in this year's MUSEXPO. It was one of the most productive conferences I've attended in years...solutions and advice, rather than negative nonsense and gossip. The speakers were candid and informative. I was proud to be on our panel. This was the first time I met Mike Walsh...what an impressive gentleman! And I loved sharing with Seymour, Peter and Steve. Congratulations to you and your team for a job well done!" "MUSEXPO has delivered on its promise of organizing an event that is educational as well as manageable. We left with many new insights and plenty of new relationships. I look forward to the next one, now that I know what to expect. " "I just want to thank you for putting on such a great event. It was relevant and fun. Many events manage the latter, but few combine both. I look forward to the next one." "A&R Worldwide's MUSEXPO is a great forum to network with other likeminded executives from all areas of the international music and media business. In addition, it provides a great selection of evening showcases featuring new talent from around the world." "Congratulations to you both and your team for an excellent MUSEXPO. It really did surpass the previous year--and that is saying something!" "It was fantastic to see you and participate in your conference. Thanks for inviting me! I really enjoyed it." MUSEXPO was very helpful to me since I was able to meet with so many key professionals in the music and media industries. MUSEXPO gave me a great opportunity to let potential partners in the US and outside of China know of our existence, as well as the potential opportunities for them in China. I appreciated the fact that so many top executives wanted to speak with me after my MUSEXPO panel to learn more about Top 100 and the Chinese market." "Just to say well done to you and all involved with MUSEXPO and thanks for the invitation to moderating the live panel, I enjoyed it!" "Firstly congratulations on what I thought was a great MUSEXPO event." "Just a quick note to you and your team to say congrats on MUSEXPO. It was a pleasure to attend such a well-organized event. The panels were excellent and informative while the whole atmosphere at the event was magnificent. Thanks again, here's to the next one!" "Many thanks indeed for inviting me to participate in the MUSEXPO event, which has been first-rate. I was pleased to be asked to speak on the UK: State of the (Host) Nation Panel and I thoroughly enjoyed the session." "Thank you for again giving Laura Izibor the opportunity to "Shine." The response from MUSEXPO has been amazing and I really appreciate all you have done for us." "Thanks very much for a great week... You have a very classy operation, and it was duly noted by many of the participants I spoke with. Doing panels has never been one of my favorite pastimes, but you, your staff and your well selected panel actually made it fun this time around." "Thanks MUSEXPO, enjoyed taking part. It was a very diverse group you pulled together which meant a lot was discussed, we all enjoyed it." "Thank you so much for the invite and an excellent MUSEXPO, which people are speaking very highly of." "Great MUSEXPO--you've done a fantastic job!" "The MUSEXPO conference has been, without question, the most productive and meaningful event of this type I have attended. I have met some wonderful people from all over the world and I've experienced a very fraternal environment where people are more than happy to engage with each other, exchanging ideas, contacts, advice, and opinions. The networking aspect of the conference was incredibly open and friendly, which has been of tremendous benefit to us all." "I had a wonderful time at MUSEXPO, and enjoyed the panel with Seymour and John. You were a gracious host and made it all easy. Thanks so much for inviting us to be a part of the event." "Thanks you. MUSEXPO was good fun and the whole conference seemed very inspired. Well done!" "Many thanks - it's been a great week at MUSEXPO. Many thanks for your support and your enthusiasm for music!" "Everyone, thanks again for a wonderful MUSEXPO event. I look forward to the next one." "As always Sat a TRIUMPH! Many, many congratulations to you and your team. It's an honour to know you and be part of your world. You are a pied piper. You bring people together in the most extra ordinary way. Kind regards as ever." "The trip has been well worth it (probably one of the most fruitful) of all the conferences I do. You will definitely see us again and I will bring some of the rest of my team next time (project permitting). Thanks for the warm/open welcome, and be assured of our support of your endeavors." - It's always an honor to be a part of your MUSEXPO and to sit with such esteemed panelists." "Thank you so much for your great hospitality and your introduction to so many good people. I really enjoyed my trip to LA and I am very sure everyone else did as well. It was very impressive seeing how much hard work you and your team put into your "baby" and how great it is working now. The way you are setting-up and taking care of your network is a guiding light for me. I hope we all get together soon for the first MUSEXPO Europe in Germany. You will have my support for sure!" "Thank you for a wonderful day at MUSEXPO! You are one of my favorite family members and I'm so appreciative of your love and support! You are an amazing individual and congrats on another successful event!! You rock!" "Awesome event! Congratulations on another great year!" "As usual, I thought the conference was very well-organized, the panels useful and timely and the music and hangs great. Great job! See you soon." "Many thanks to you all - I have already found a bunch of great music from MUSEXPO, so I appreciate you including me!" "It's pretty hard to express how much I enjoyed your two conferences in L.A. last week. As someone who used to work in the ad industry, I can really appreciate how much work, long hours, stress and ultimately thoroughly professional organization went into making your two events such a brilliant success. You are a true professional and I was very proud to be part of the Worldwide Radio Summit and MUSEXPO. I am also proud to count you as a friend and to feel part of your A&R Worldwide family." "Thank you guys so much for putting on an amazing event. I truly appreciate everything you do for the music industry. I was thrilled and honored to be part of MUSEXPO this year. I'm determined to get through all the great music I received (I know there are some gems in there!). And the friendships and relationships I have cultivated over the last few months have been invaluable to me."